We are one of the leading manufcaturer of Clean Room Equipment that includes Laminar Air Flow Unit (LAFU), Reverse Laminar Air Flow (RLAF) and Static Pass Box. 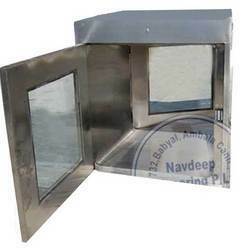 We at NEPL offer High Quality Static Pass Box, which is made in compliance with world class standards. Static Pass Box is specifically designed that aids in the material transfer without much personnel movement. Furthermore, the Static Pass Box also acts as a hindrance for entrance of contaminants in clean room and other classified areas. 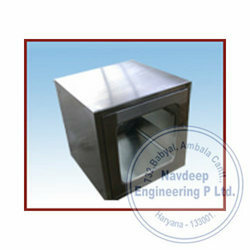 We are the leading Manufacturer, trader and service-provider of Stainless Steel Pass Box. All these are manufactured in accordance with latest technological trends in the industry and can be availed at industry leading prices by our customers. 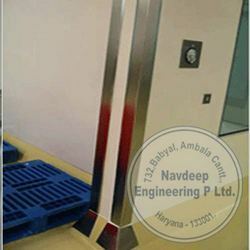 We are the leading Manufacturer, trader and service-provider of Corner Protector. The clients can avail these protectors in various dimensions and at affordable prices. Our offered range is manufactured using high grade raw materials that are procured from the most reliable vendors of the market.